This is a cozy textured dolman sleeve cardigan in silver with pockets that feels like the coziest blanket! It runs s/m or m/l. 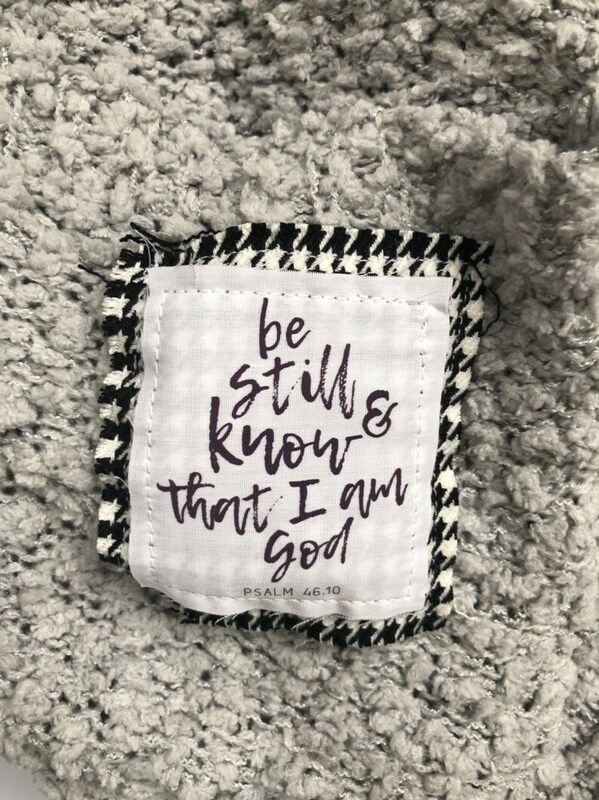 The verse is Be Still and Know Psalm 46:10. Absolutely love this cardigan! Very comfy and stylish.